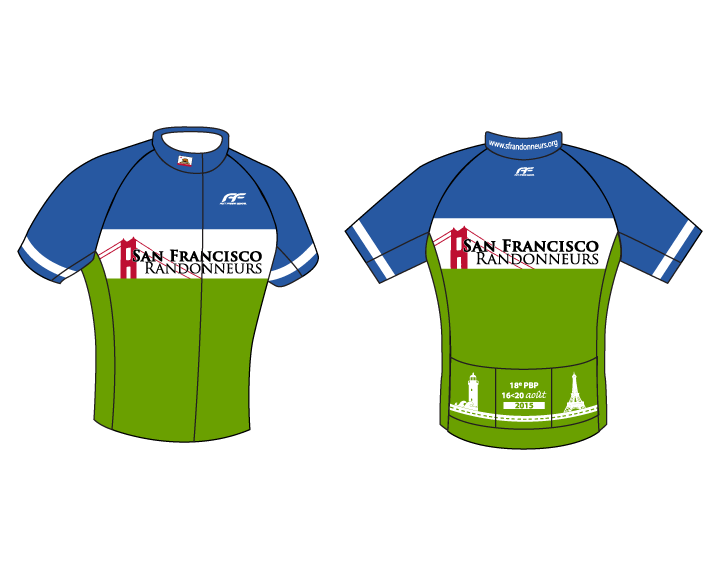 Yesterday, I rode my longest bike ride to date - the El Cerrito-Davis 200K - with the San Francisco Randonneurs. A big thank you to all the volunteers and randos who made my first 200k so much fun. I discovered the sport because I'm a cheapskate. I had gotten more and more into cycling over the past 2 years or so, and though I was riding through the East Bay hills mostly alone, I wanted to do a "Century" - a 100 mile ride. Looking up local rides I found out that, while most centuries cost a nontrivial amount of money for the poor grad student I was back then ($60-$200), the San Francisco Randonneur rides were all $10-$20. As I dug deeper and learned about the sport, I found out that the reason for low cost, is that rando rides are unsupported - randonneuring is all about self sufficiency. You are expected to bring gear to fix your own flats, as well as carry or procure your own snacks and beverages. The Randonneurs USA (RUSA) website succinctly summarizes the sport. This description is strikingly similar to my beliefs both about cycling and computing, so I knew I found a new activity I would greatly enjoy. This has been borne out on three previous occasions when I have participated in the ~100 km Populaire rides, which are intended as a way to introduce riders to the sport, yet still be within reach of wide variety of cycling abilities. Here's the 213km (132 miles) ride map and elevation profile, what follows is my ride report. The ride started at 8am at a Starbucks by El Cerrito BART station, so I just rode there from my house as I frequently do on my morning commute. I prepared my bike, packed my gear and food the night before, and the only thing I needed to do was to fill up my water bottle before the ride started. I showed up a dozen minutes before the start, with most riders already assembled, got my short drip and a heated up croissant, and totally failed to get any water. It's not a super terrible thing, I frequently don't end up drinking much at the beginning of my rides, but I had now set myself up to ride to the second control (44 km / 27 miles) without any water. Randonneuring isn't about racing - as you traverse from control to control, there's just a window of time that you have for each control, and so long as you make it through each control withing that time window, you complete the event! There is no ordinal placement, the first rider to finish has just as much bragging rights as the last. The only time people talk about time is when they're trying to make a new personal best. The second control was open roughly between 9 and 11am, so I could have stopped off somewhere to pickup water, but that didn't fit into my ride plan. You see, the cue sheet is two pages - with the first page dedicated to getting you to the second control, as there are a lot of turns to make in the East bay until you get to Benicia. Accordingly, my plan was to stick with the "fast" group who know the route well, so that I wouldn't have to look at the cue sheet at all. This was a success - and I got to chat with Jesse, whom I rode a fair chunk of the 111 km Lucas Valley Populaire back in October (here's a good video of the first chunk of that ride). When 7 of us got to the Benicia control at 9:45, I volunteered to guard the bikes as folks filed into the gas station mart to buy something (getting a timestamped receipt is how you prove that you did the ride from one control to the next within the allotted time). Lesson learned: I should have used that time to shed my warm second jersey and long pants, as it had warmed up by then. It just so happens that by the time I went inside, there was a line for the bathroom, and by the time I got out, the fast group was just heading out, yet I still needed to change. Because keeping up with the "fast" group wasn't that big of a deal and actually rather fun, I really wanted to try to catch up to them, so I stepped it up, and told a couple of other riders that I'd do my best to pull us to them (in case you didn't know - the aerodynamics of cycling make it much easier for those behind the leader to keep up the pace, even if that pace isn't something they could comfortably do on their own). We didn't succeed in catching them during the first 10 mile stretch of road, but I kept pushing with a high cadence in my highest gear, and about 5 miles later, we caught up with them! The only problem was, by this point, I had wasted so much energy, that I couldn't make the last 20 feet to them, though I was happy to see the two guys who'd been letting my push the whole time, use their fresher legs and join the group. So there I was, a few dozen feet from my intended riding partners, but as more and more pavement went past our wheels, the distance between us slowly widened. Somewhat disheartened by this (though, again, happy that I all of my pulling wasn't all for naught, since I bridged two others to the group), and now overheating, I decide to stop by the side of the road, removed my long sleeved shirt, put on sunscreen (Lesson learned: don't forget your ears, too - they're the only part of me that burned). A fellow rando rider Eric went past, to my smiling cheer of "Go get 'em!". Then when pair of riders asked if I'm alright, I nodded, and decided to hop back on the bike and ride with them for a bit. It was nice to let someone else pull for a bit, but shortly thereafter, we started the first serious ascent, and my heart was pounding too hard from exhaustion and the heat - and I had to stop to again to catch my breath and get some more food in me. Luckily, when I resumed riding up that hill, I had a mental shift, gave myself a break, and given how tired my legs were already, even though I wasn't even half-way through the ride, I reminded myself that I'll just spin in a low gear if I have to, there's no rush, I'm not racing anyone, and though I know this won't end up being as good of a 200k as it could have been had I trained more in recent months, it was still up to me to enjoy the ride. One of the highlights of the ride were all of the different butterflies I got to see along the way that I started noticing after this change in mental attitude. After the long climb, followed by a very nice descent, I got onto the Silverado Trail for 14 miles of a straight road with minimal elevation changes. Though my legs were again cooperating more, it was starting to get kind of old, and then out of nowhere, one of the riders I had pulled earlier rides past me, but then proceeds to slow down and ride along side me for a chat. He hadn't been able to keep up with the fast group for very long, and ended up stopping somewhere along the way to eat, which is why I didn't notice that I had passed him. We took turns pulling for each other, which took away from the monotony of Silverado, but he had a lot more in the tank, and I again wasn't able to keep up, losing him with 4 miles to go to St Helena. Needing another break, with 4 miles to the next control, I decided I would need to spend a while there, recuperating, if I am to make it through the rest of the ride. I got to Model Bakery at 1:10pm, with many familiar faces from earlier in the day already enjoying their food, but ended up staying there until 2:30 - eating my food, drinking water, just letting my legs rest. I ended up riding out solo, and really enjoyed the early parts of 128 (after missing the turnoff by a hundred feet) - luckily this was just the spot I had my last stop at, so I quickly turned around and got back on the road. The problem was it kept getting hotter and hotter - it seemed that I couldn't go a mile without taking a good gulp of water. I still stuck to my strategy of just spinning fast without really pushing hard, since recovering from being out of breath is way faster than waiting for exhausted legs to obey your commands. I made it a good chunk of the way to Winters, but still ended up having to stop half way up the climb near Lake Berryessa. Another SFR rider, Julie, climbed past me, checking if I was OK as she went by. It's great to have that kind of camaraderie along the ride, a couple of people even gently expressed their concern that my rear wheel was out of true - which I knew but kept putting off getting it fixed. These nudges gave me more resolve to get that taken care of. Finishing off the last of the Haribo Gummi Candy Gold-Bears that I brought with me (and you know you're tired and dehydrated when it takes effort to just chew), I got back on the bike and headed further up the hill. 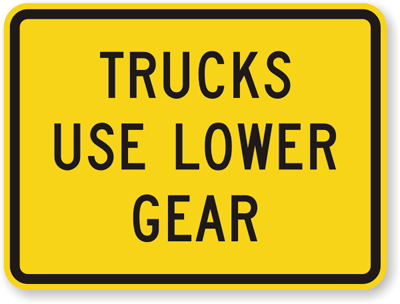 Then, finally, I didn't think I could ever be so cheered up by road sign (hint: they only put "TRUCKS USE LOWER GEAR" signs at the top of big hills). I finally got to Winters at 5:37pm, got myself a Chai Smoothie, and Julie, who unfortunately was going to miss her train home, proposed that we ride together the rest of the way to Davis. Again - though I really enjoy my alone time while cycling, it's also quite fun to have strong riders to ride with, so as the sun started descending behind us, and no longer scorchingly hot, we set out for the final 17 miles to Davis at a good clip, given how much riding we had already done. Dodging drunk college kids (it was Picnic Day at UC Davis) was the last challenge of the ride. As a UCD alum, this was a homecoming of sorts, so I lead the way through town as we made our way to the Amtrak station. We finished just before 7, and I caught the 7:25pm train back to the Bay Area - enjoying the company of a handful of other randonneurs. Thanks for reading my ride report!